The Information of a fire at the hosiery factory was received around 1:40 am, after which fire officials rushed to the spot. Massive fire engulfed a garment factory at Bahadur Ke Road in Punjab's Ludhiana. A massive fire broke out in the wee hours of Friday morning at a garment factory at Bahadur Ke Road in Punjab's Ludhiana. The firefighting operations are still underway and 100 fire engines have been used so far to douse it. "We received the information at around 1:40 am, after which seven tenders were rushed to the spot. 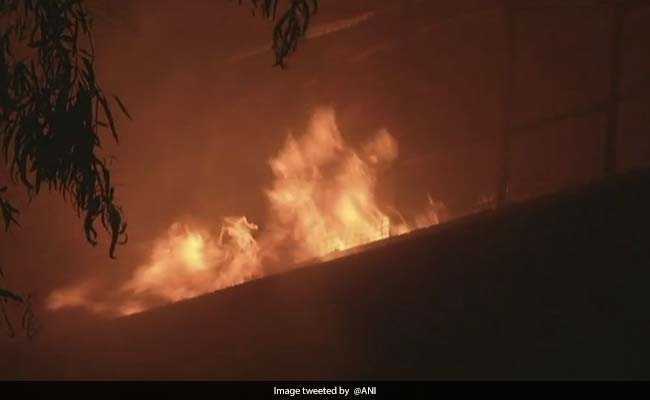 The tenders have been refilled two to three times already, but we have not been able to douse the fire yet," Srishtinath Sharma, an official from the Ludhiana Municipal Corporation fire brigade told ANI. The cause of the blaze is yet to be ascertained. No casualties have been reported so far.